Kira Balinger admits that she’s receiving both praises and criticisms as Joshua Garcia’s newest love team partner. 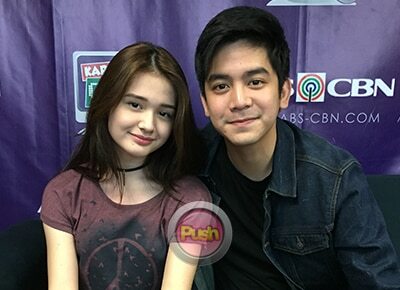 The Greatest Love stars Kira Balinger and Joshua Garcia couldn’t be any happier that many accepted their new love team called KiShua. In an exclusive interview with the two stars, Joshua and Kira revealed that they actually auditioned for their roles as Z and Y, respectively. “Basta sinalang kami, kami kasi naging maganda chemistry, tumaas talaga yung ratings di ba?” he said something which Kira herself confirmed. The two, however, admitted that did not expect the public to support their love team, especially since Joshua has been identified with other female actresses. “Masaya kami, masaya kami na naging maganda ‘yung reaction sa amin ng mga tao, good vibes lang nga ‘yung sunod naming problema,” said Joshua. But how do they make their chemistry shine on TV? “Bago kami sumalang, paguusapan muna namin kung ano ‘yung gagawin namin,” shared Joshua. Unlike Joshua, who experienced being part of a love team ever since he was still inside the yellow house as a Pinoy Big Brother housemate, Kira was a love team first-timer. According to the Kapamilya newbie, the criticisms that she’s currently receiving are quite understandable, especially since she’s well aware that Joshua came from a different love team.